My Peacock inspired, ready-made “Vintage Brooch Bouquet” is ready to shake it’s tail feathers! Sometimes pictures just can’t capture the detail… the colors in this bouquet are so rich and vibrant and of course I have included lots of sparkle! Look for this beauty on my “Brooch Bouquets” page next week. It turned out so beautiful! It would have been perfect for Lindsay M.’s wedding shower. Beautiful! I’m so excited to work with you on one! 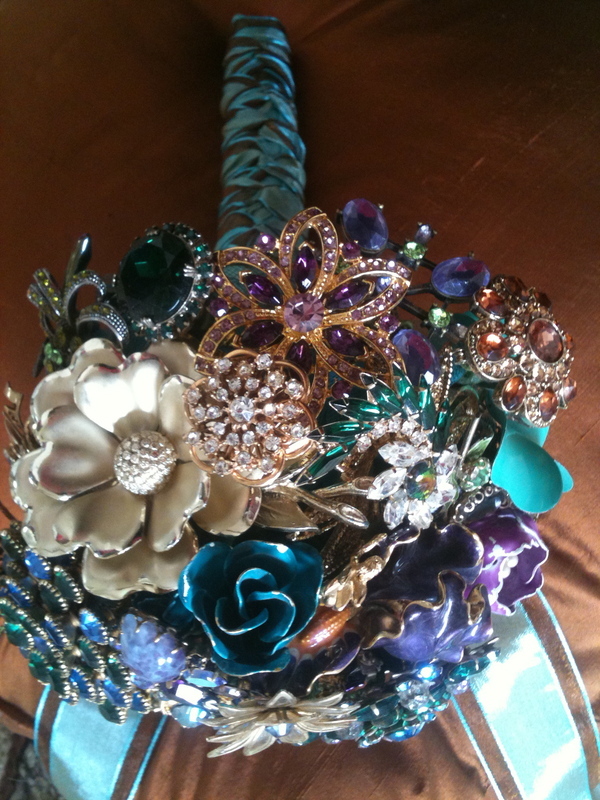 The “Strut your Stuff” brooch bouquet is gorgous! I would love to use this as my wedding boquet. How would I purchase this?